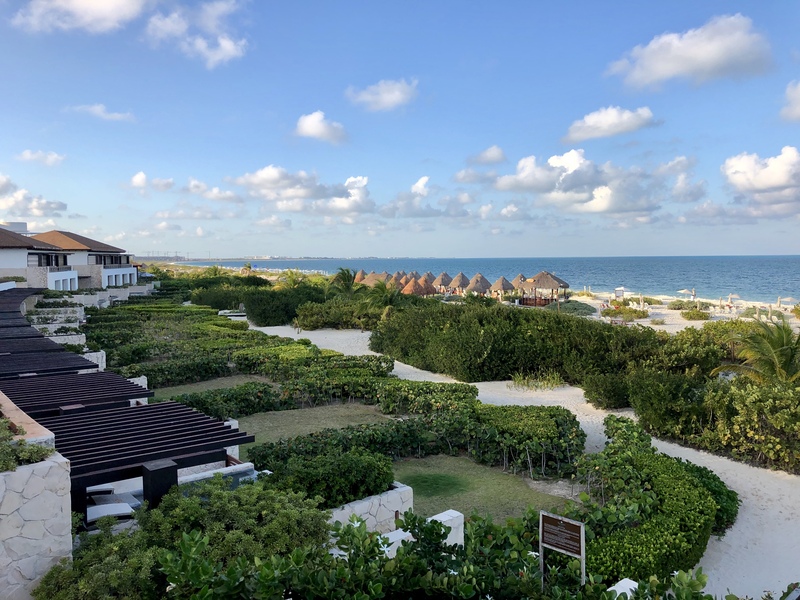 Our fearless leader Ken, had a recent opportunity to visit the Cancun Riviera Maya area and tour 9 resorts operated by AMResorts. 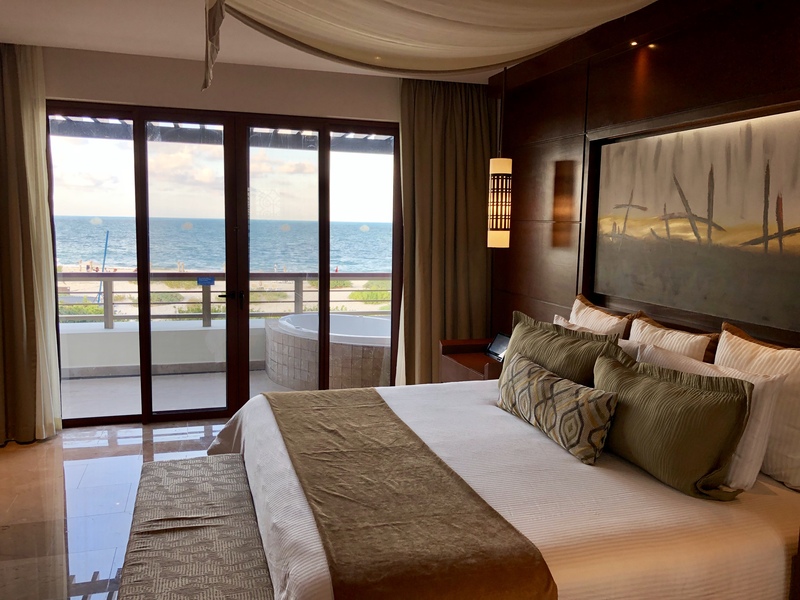 Home base for the stay was the Secrets Playa Mujeres Golf and Spa Resort. 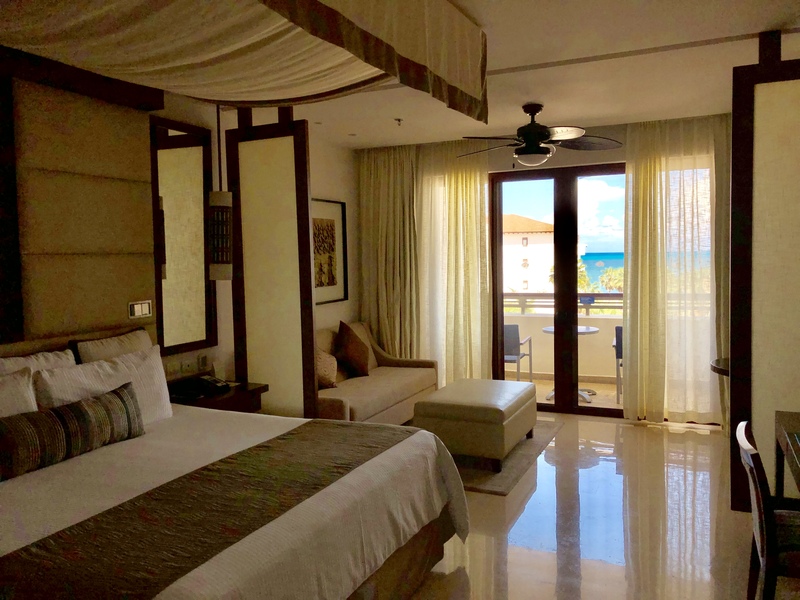 Secrets Playa Mujeres is a first class Adults only All Inclusive resort located in a Gated secure community just north of the Cancun resort zone. Featuring an excellent beach, one of the best outside of Cancun, fantastic spa facilities, excellently appointed suites. Preferred Club rooms all feature an ocean view. 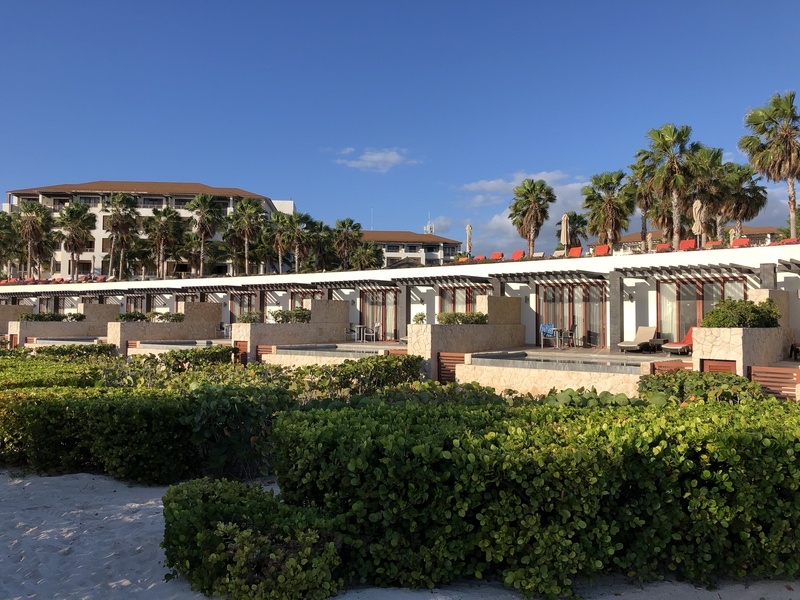 If you are up, Sunrise is great from your preferred balcony, a little bonus, sunset is great sitting outside your entrance door, use your sitting area chairs, grab a beverage of choice and enjoy the wonderful sunset view over the natural grounds of the resort. 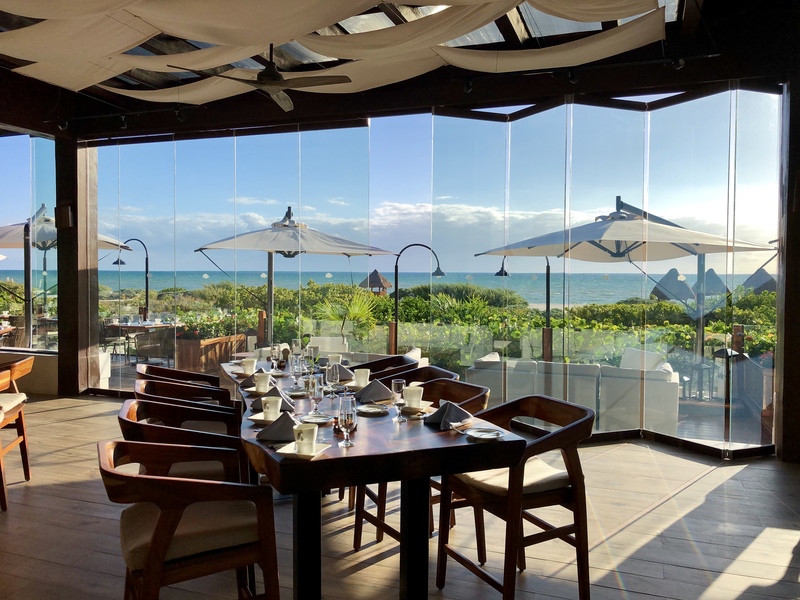 A very nice bonus of preferred club, is breakfast at the ocean front Oceana Seafood Restaurant, the view is breathtaking. 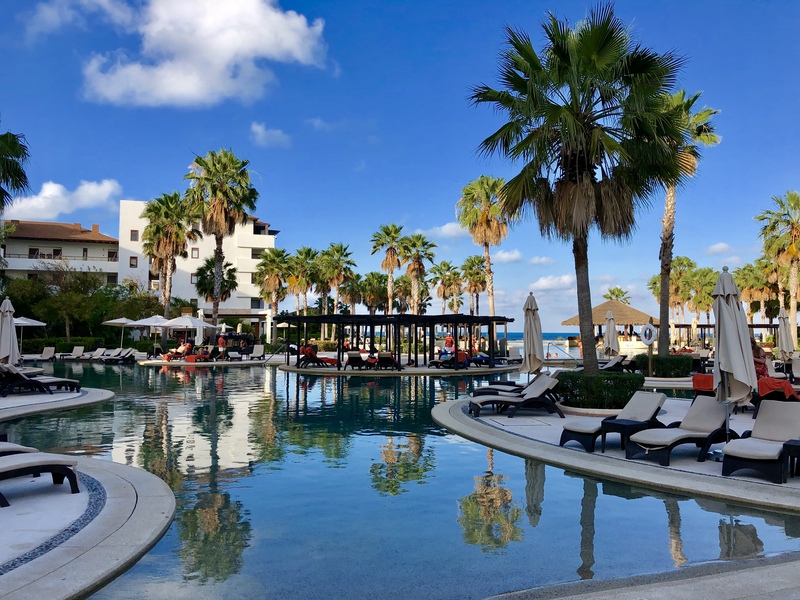 Additional perks of the Preferred Club, include private check in, private lounge with light food treats and a top shelf bar, free access to spa hydro therapy area, preferred club private beach area featuring swing bar and beach front cabanas. Rooms feature spa tub, rain shower, ample balcony, ground floor rooms featuring swim out pools. 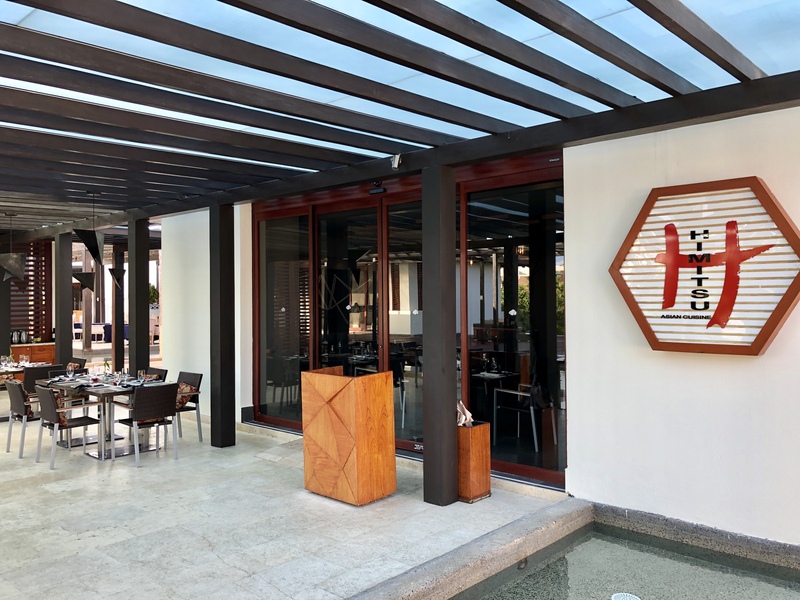 Restaurant options include French, Italian, Asian, and Steakhouse. 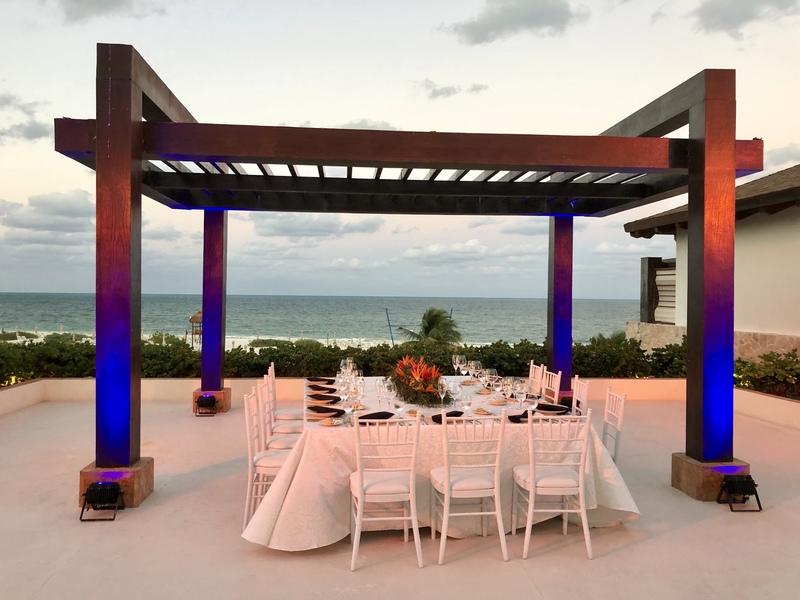 In addition to the restaurants at Secrets, guests have full access to Dream Playa Mujeres restaurant options featuring the same types of restaurants with total different concepts giving you twice the options for dining. 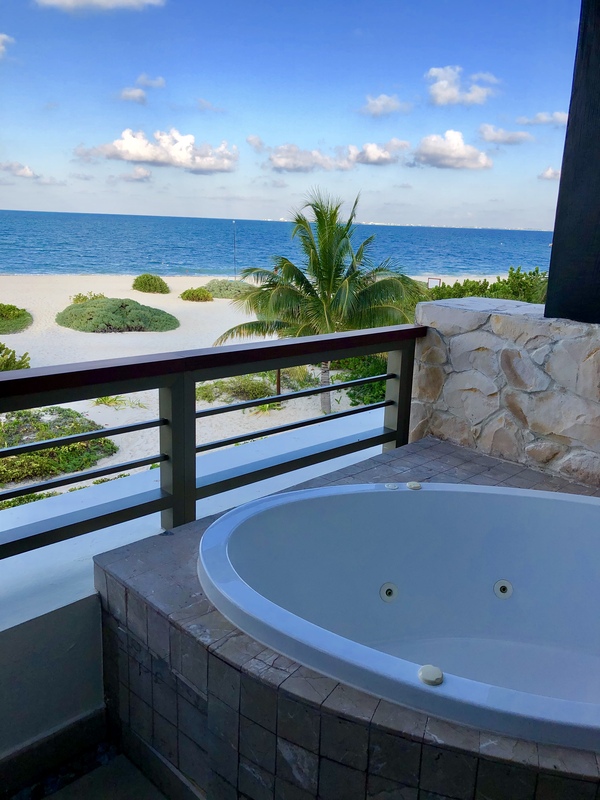 The spectacular Ocean Front Master Suites feature large beach level swim outs, second floor Master Suites feature large jacuzzi balcony tub, and spectacular views. While staying at Secrets, and you want to bring out your inner child, head over to Dreams for the Water Slides, mini golf, Grotto Bar, and Lazy River. One of the interesting aspects of the resort is the preservation of the natural habitat between the lobby and the resort. The resort has built two birding towers to view all the bird species onsite in addition to offering great views, especially the sunset. Felling lazy, Secrets offers golf cart rides to lobby, spa, sports bar, and restaurant complex. Not really needed, buts it’s available 24/7. Calling all golfers, reduced rates are offered for Golf, with resort offering the excellent Playa Mujeres course. Free Wi-Fi throughout the resort, in room tablet to order room service, excursions, spa treatments and more. Pro tip download the Secrets connectivity app before leaving home. Also Major US cell providers offer free packages for Mexico that include internet and phone calls, check with your provider for detail. 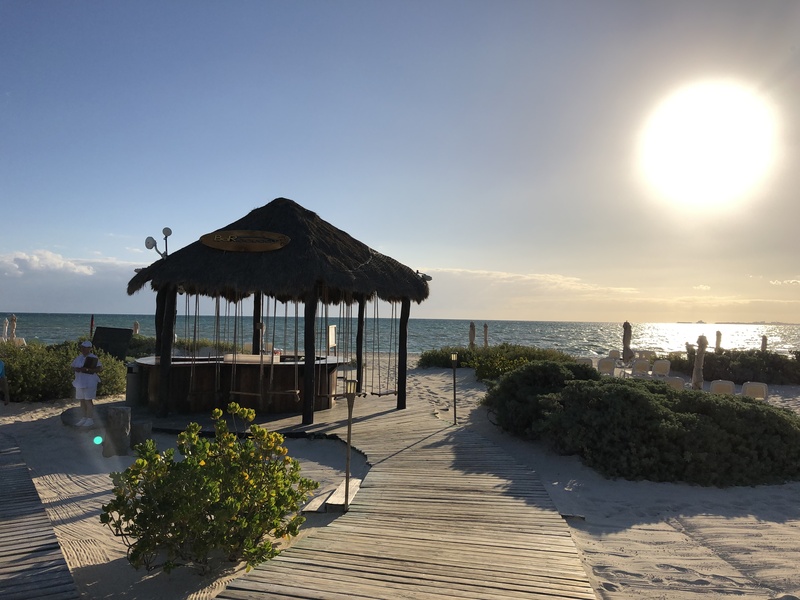 To summarize, Secrets Playa Mujeres offers a really high level adults only resort, with a high quality staff, very good quality food, all just 40 minutes from the airport. Perfect for honeymooners, couples of all ages looking for a relaxed high quality vacation.